The Wall Street Freaking Journal!!! I know it's been really quiet around here lately, but trust me when I say that my quilting studio is anything but quiet right now! I'm getting ready to head back to Peoria, IL for a quick visit with my in laws and to run the inaugural Run River City Marathon! I'm really excited to get back to the midwest, even if it's only for a few days. While I'm there, I am going to deliver two custom quilts, one of which I'm still working on. I have faith that I'll get it done, but with race training and quilting that doesn't leave much time to blog! There's also a short slide show of quilts from Quilt Con, you can find those here. 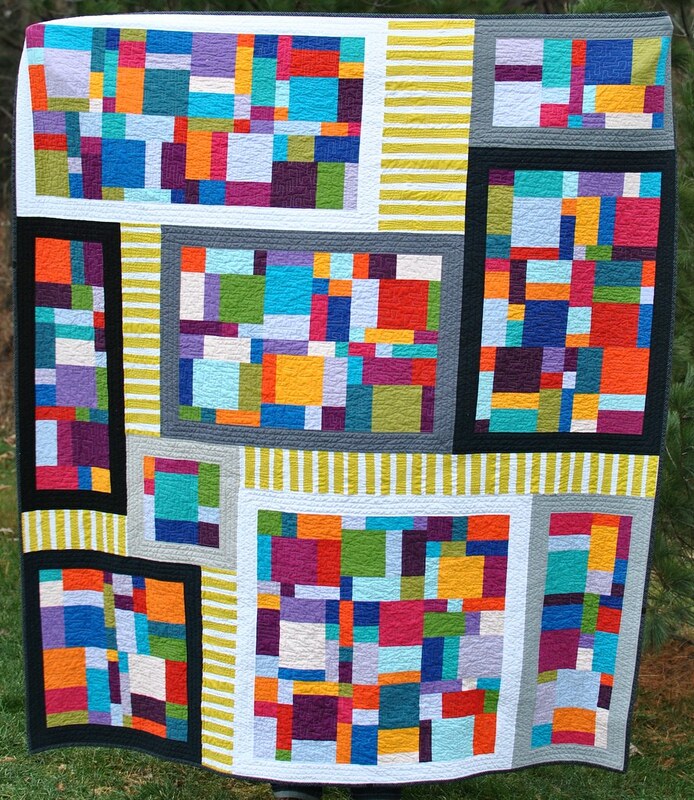 I'm super excited to share that my quilt is on slide #5! A sweet friend alerted me to the photo this morning, and I've contacted the WSJ so that they can (hopefully) include a photo credit! Either way, my quilt is on the freaking WSJ website! OK, I'm off to shower after my morning run - I've been chatting with my hubby, my mom, and anyone else who will listen ever since I found out that my quilt was online! I have a few older quilts to share, I'll try to post about at least one of them before my trip next weekend!